^ 1.0 1.1 1.2 1.3 Sommerstein (2002), p. 41. 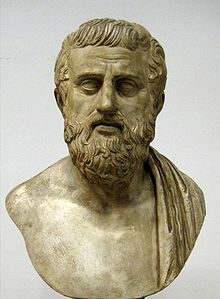 ^ 2.0 2.1 2.2 2.3 Sophocles. Encyclopædia Britannica Online. Encyclopædia Britannica, Inc. 2012. ^ 8.0 8.1 悲剧美的信仰者 索福克勒斯. 凤凰网. 2011-11-10 [2012-11-23]. ^ 10.0 10.1 Sophocles, ed Grene and Lattimore, pp. 1–2. 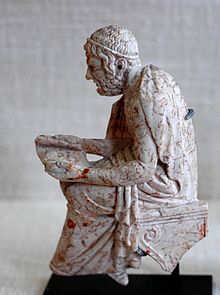 ^ Murray, Matthew, "Newly Readable Oxyrhynchus Papyri Reveal Works by Sophocles, Lucian, and Others 页面存档备份，存于互联网档案馆", Theatermania, 18 April 2005. Retrieved 9 July 2007.